The 30-share index was trading 239.11 points or 0.61 per cent higher at 39,144.95, and the NSE Nifty was trading 63.35 points, or 0.54 per cent, up at 11,753.70 in early session. 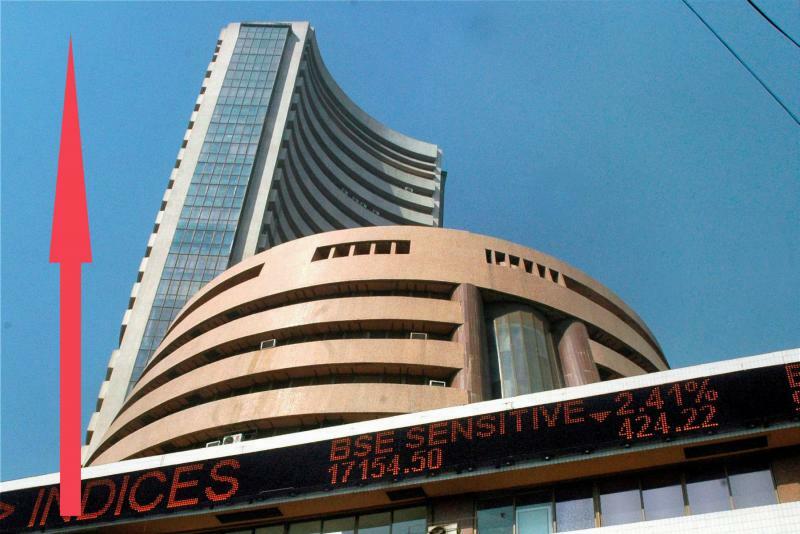 In the previous session, the BSE index settled 138.73 points, or 0.36 per cent, higher at 38,905.84, while the broader Nifty rose 46.90 points, or 0.40 per cent, to close at 11,690.35. According to Hemang Jani, Head - Advisory, Sharekhan by BNP Paribas, Q4FY19 earnings season will remain crucial for further upside in the market. "The rally in the market has been mainly due to aggressive buying by the FIIs; and for valuations to sustain, there needs to be an uptick in earnings growth this quarter," he said. Foreign institutional investors (FIIs) purchased equity worth Rs 713.22 crore on Monday, and domestic institutional investors (DIIs) bought equities to the tune of Rs 581.36 crore, provisional data available with stock exchanges showed. Top gainers in early trade include ICICI Bank, Vedanta, Coal India, M&M, Asian Paints, Hero MotoCorp, Maruti, IndusInd Bank, Sun Pharma, RIL and HCL Tech, rising up to 2.67 per cent. On the other hand, Bharti Airtel, Infosys, Tata Motors, Tata Steel and HUL were the only losers in the Sensex pack, shedding up to 0.65 per cent. Meanwhile, the rupee depreciated marginally to 69.49 against the US dollar in early trade. Brent crude futures, the global oil benchmark, was 0.25 per cent lower at USD 71 per barrel. Elsewhere in Asia, benchmark equity indices in Shanghai, Tokyo and Seoul were positive in early trade.